Jacobo’s Seafood & Grill, The only Seafood Bar & Grill in town that serves New Orleans Cajun dishes like Cajun Pasta Mardi Gras, Cajun Shrimp & Cajun Blue Crab, Jacobo’s spices came from authentic Cajun Seasoning direct from Louisiana. We also serve “Bourbon Ribs” marinated with our very own special sauce infused with Jack Daniels Bourbon Whiskey. You can also go on fishing and have your own fresh catch seafood cooked the way you want it. Try our own delightful dishes like Crispy Dinuguan, Sizzling Pork Binagoongan, Sinigang na Sugpo & Bangus Belly, Pinak-Crab-bet, Coconut Shrimp, Coco Jello & mouth watering Crepes and a lot more new dishes that you can find only in Jacobo’s Seafood Bar & Grill. Enjoy your dinner with family & friends while jamming with our Acoustic & Live Band performers, every Fridays, Saturdays and Sundays; the party starts at 7pm. 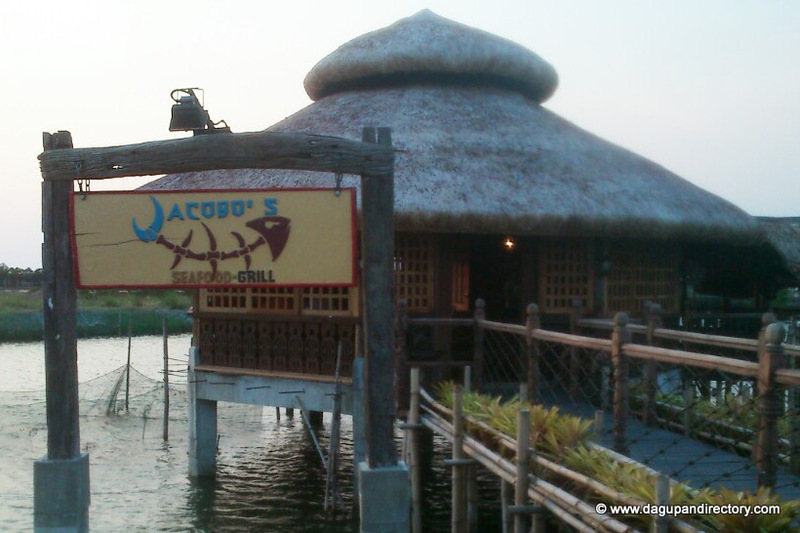 Jacobo’s Seafood and Grill... Where food’s a Thrill.